Zoo Time opens with novelist and narrator, Guy Ableman being caught by police for stealing a copy of his own book from an Oxfam shop. Only, Guy doesn’t see it as ‘stealing’, rather he’s ‘releasing’ it from the gaze of a woefully stupid public. It’s this bad reader that makes Jacobson fear the future of the novel. We’re in strange times really – more novels are being written and published, but are they better? Does anybody read them? Are they all destined for ‘print-on-demand’ rather than being ‘in print’? Additionally, why are readers so hung up on whether the hero/heroine of a book is a ‘likeable’ character who we can ‘identify’ with? Why do readers demand that the novel is ‘cosy’? The dedication of the stolen book, which is incidentally called, Who Gives a Monkey’s?, reads ‘to the fairest of the fair: my beloved wife and mother-in-law’, Guy insists to police that the adjective ‘beloved’ is intended only to apply to the noun ‘wife’, though the omission of the Oxford comma in the sentence is damning. In actuality, the ambiguous dedication foreshadows some of the plot action in the book. That is, Zoo Time, not Who Gives a Monkey’s? Now you can see some of the problems one faces in reviewing a book about a novelist who writes books. Meta! Meta indeed, Guy’s publisher, Merton kills himself because of the state of the publishing industry. Guy’s agent, Francis, goes into hiding, ‘like Merton, he dreaded the prospect of a new book… Some agents had taken to locking themselves in lavatories rather than have a manuscript handed to them personally like a subpoena.’ Nobody’s reading and publishers want to set up ‘app books’ that people can read in the time it takes to wait for a bus. Guy is annoyed when it’s suggested to him that he get a book endorsement from a 22 year-old who has published a couple of short stories in order to appeal to the ‘youth market’. The literary side of the book provides a number of perhaps controversial reflections over the state of the novel and any literary geek is likely to fawn over Guy’s ruminations. It’s not dissimilar to Jasper Fforde’s The Eyre Affair, though it’s less of a fun adventure through literature and far more cynical. Still funny though. The other part of Zoo Time is Guy’s infatuation with both his wife, Vanessa, and mother-in-law, Poppy. Vanessa and Poppy argue with each other as though they were friends or sisters. His pursuit of Poppy yields very little in the way of results. Vanessa, meanwhile, is working on a novel too except she feels that she can’t write when Guy is writing. Guy finds himself exiled from his home and down ideas for his next book as Vanessa’s first novel finally takes off. The interpersonal stuff is funny, and woven well into the book, though the reflections on publishing is far more amusing and would be my prime reason for suggesting this book to others. 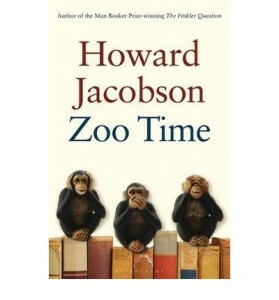 Overall, Zoo Time is a humorous read but I found it overly long given its lack of dynamism. I suppose that Howard Jacobson would argue that, as a reader, it’s my fault for finding it a bit boring at times. Zoo Time is published by Bloomsbury. This entry was posted in Books, Featured and tagged bloomsbury, book review, books, Howard Jacobson, literature, novel, publishing, Review, Zoo Time. Bookmark the permalink.